It’s confession time. The confession is this — I am not perfect. Yeah, that’s it, but I’ll give you a bit more detail. I get stuff wrong all the time. I watch people who I look up to and I think to myself, “Yeah, but it’s alright for you because you’ve got 100,000 customers” or “You’ve been doing this since whenever”, or because or because. Excuses my friend, excuses, excuses — I have them and you have them. I want to show you that I am human. When you hear me saying that I have over 105,000 customers, you could have listened to me when I had five customers, or the week later when I had probably 10,when I was picking up like a customer a day. If you look at my old website, it’s embarrassing. In fact, the current one is pretty lame, however, it converts, it works, we test it, and it works. And that’s why looks like it does. Now on the marketing front, the website as I say is marketingforowners.com where I show you how to do it better than I did. However, I also will show you what I do wrong and my biggest failing, the thing I constantly do wrong is being too slow to start. Now this comes from something that most of us suffer from and it’s perfectionism. So perfectionism causes procrastination which is just not getting going. I have a whole list of stuff I get wrong, but that’s the main one is I have stuff; so, for instance, I’ve got a full training course, it’s fully made but you can’t currently buy it because I’m just waiting for a couple of things to get right before I switch it on and try and sell it to you. It’s called “Website 101” by the way and it’s to show you how to create the website by yourself, It’s not, not expensive. I’ll let you know at some point how much I am going to sell it for. But that is a perfectionism. Now if I was probably a seventeen year old whippersnapper with no knowledge of the world, no preconceived ideas, I’d probably just to dive in there, throw it up online, tell some people it’s available and then make it better and better as time goes on, but I’d just wait until I get some sales. Why aren’t I doing that? Because I’m procrastinating, because I don’t think it’s ready, you see. And that happens with a lot. Now in many other areas I have the ideas, I have the system, I know everything but I am procrastinating on writing it down, on putting it out there because I want it to be just so. So, yes I’m not as bad as others, but it doesn’t make any difference, I still have to recognize what’s up. Now what would have happened if I wasn’t like that? What would’ve happened is I would have products for sale, I would have had them for sale months ago, I would already be making the money that I’m hoping to make next month. I’m estimating a couple of weeks. But why am I estimating a couple of weeks? Why can’t I get it ready tomorrow? Just see. There’s a whole plan and the plan is for the next six months of what’s being produced over the next six months but I can guarantee it won’t all be ready. There are other courses by the way that we have not even started yet, and it won’t all be ready in time because one of the other things I still do wrong is I do too many things at once. And things need to get done. Don’t forget — I try and run this the way I want to teach people so I do not invest a pile of money and do not just spend money and throw resources at it. I want to show people how easy this is to do on a shoestring budget, or on bootstrapping. It’s very, very possible, so it’s going to take time, but there are days when I don’t do any work. And I think to myself the day after, “Maybe I could have.” Yeah, there are many things I’m going to get wrong and it’s going to happen again and again and again and I want you to understand that it’s not just you. Know yourself, know about yourself, know how you operate, understand about you. So then you can work around your problems. If it’s a problem, it’s not necessarily. So recognize your strengths and your weaknesses, do not work on your weaknesses, work on your strengths. But understand how to get the most out of yourself, understand what holds you back and try and work around it, try and find other ways to work around it, or get other people to help you, get other people to encourage you. Something I’m going to be doing a lot of, I’m going to be doing free training online, free master classes, live, free, yes. By telling you this– it is a way of putting this out in the public domain so I am going to feel embarrassed if I do not actually follow through and do this. So I am not giving you a date yet, if I give you a deadline that would make it terrible because then I would have to really do it. But I will, don’t you worry, I will, and I will once I get going. The aim is to do a couple a week, permanently, that’s like 100 a year, from nothing, but in figuring out once I start going it will get easier. How about that for a challenge? It’s going to get me towards my goals. Anyway, that’s it, so I wanted you to know, I suffer from perfectionism, procrastination, and I just take a long time to get things done. I get a lot done, I could get twice as much done if I was better, okay. But I don’t beat myself up, by the way, it doesn’t stress me out, I’m just telling you, just letting you know I understand me. It’s Tuesday so it’s time for a Toolbox Tip. One of the things that does help get things done is to use tools that can speed things up. 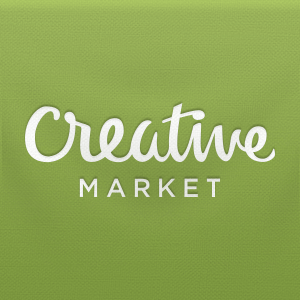 Today it’s a website, it’s not so much a tool it’s called creativemarket.com. Now if you go to creativemarket.com you’ll find there are many paid things there but there are also freebies, and you know I like to recommend free things. What this is it’s mockups, it’s templates of things, so for instance you might want to design a business card, they have some already done for you. You might want to make up a mockup of a website or a wireframe, they have some already completed. They offer flyers, leaflets, that they have ready done for you and all you need to is just fill in the text. Go see it, it’s very, very clever. You will think to yourself, “Wow, I go to a marketing company to pay for this” and these things cost like $5, I think they say down to like $2, not including the free ones, it’s quite remarkable. There are other websites like this, if you want to look up mockup templates, there are many and theme forest and I’ve got a whole list of them. But these save you time and money, you do not need marketing agencies. Quite often if the marketing agencies knew these were available, they’d be shocked and they’d think why they take so long to design these things, when they could just buy them and make them for_____. Anyway, that’s my advice for today, I’ll have some more for you tomorrow, have a great evening. 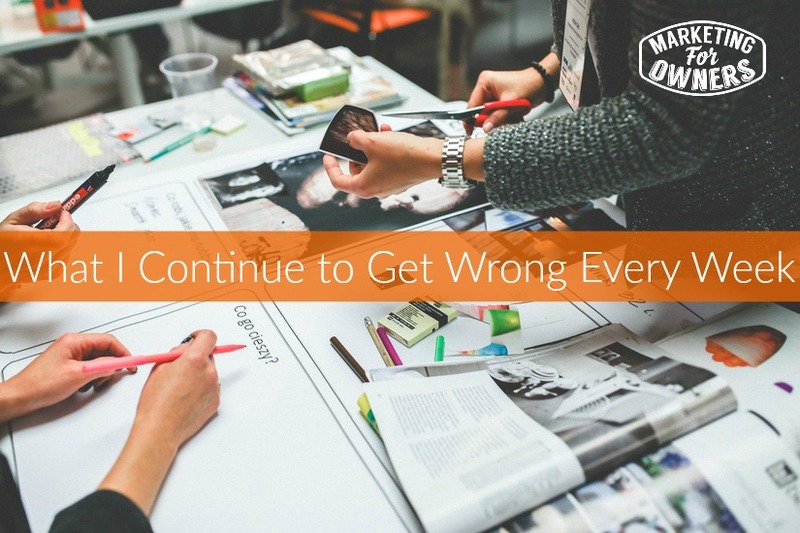 What do you get wrong that holds you back?